The "composer's cut" of Mozart's final opera. 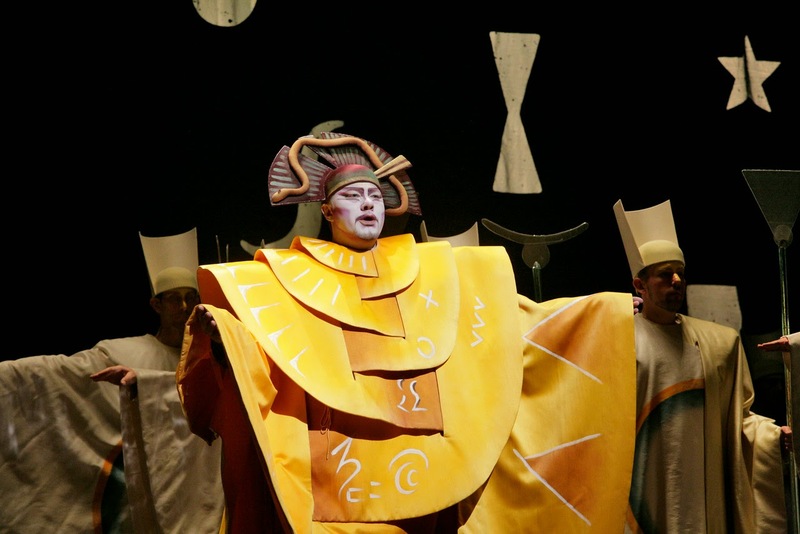 Here comes the sun king: René Pape as Sarastro in Die Zauberflöte. In the years of general manager Peter Gelb's reign over the Metropolitan Opera House, one of his signature initiatives has been an annual "holiday presentation" of a famous opera, drastically cut to one long act and sung in English. The most frequent masterwork on the chopping block has been Mozart's Die Zauberflöte. Laurie Anderson and the Kronos Quartet make Landfall. The Kronos Quartet and Laurie Anderson (far right) play Landfall. Photo by Mark Allan © 2014 Brooklyn Academy of Music. Laurie Anderson and the Kronos Quartet each occupy a unique place in modern music. A fearless performance artist, she destroyed barriers between pop and avant-garde with tracks like "O Superman" and albums like Big Science. Kronos, for their part is at the vanguard of modern music, playing their amplified strings in deep explorations of composers like George Crumb and Terry Riley. The New York Philharmonic opens 2014--for real this time. 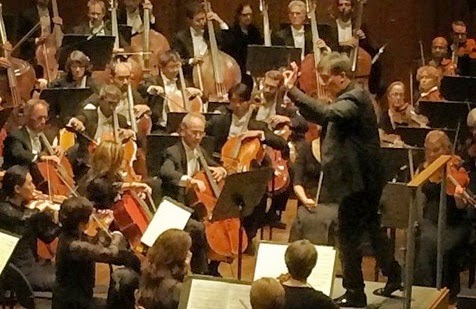 The New York Philharmonic turned from movie music this week with its first subscription concert at Avery Fisher Hall. This ambitious program paired a new Clarinet Concerto by composer Unsuk Chin with the Symphony No. 1 of former Philharmonic music director Gustav Mahler under the baton of the orchestra's current leader Alan Gilbert. The Met opens with a new Le Nozze di Figaro. Le Nozze di Figaro with Ildar Abdrazakov and Marliss Peterson. 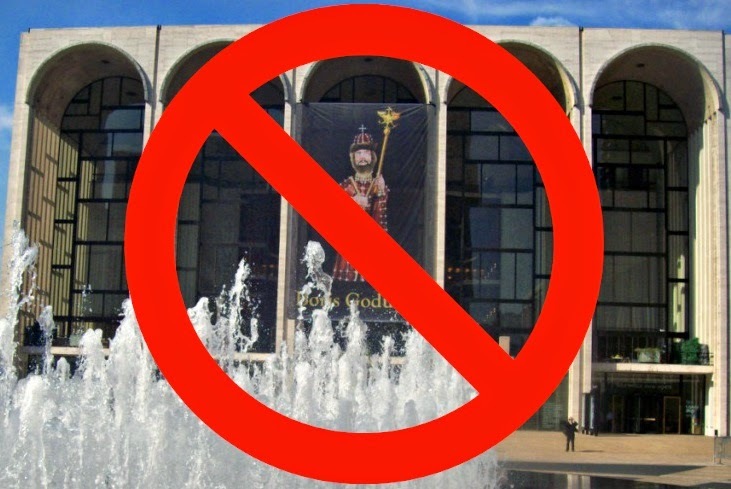 Opening night at the Metropolitan Opera is a glitzy, glamorous occasion, with seats in the cavernous auditorium jacked to three times their normal price, an audience of minor celebrities strolling down the red carpet and this year, protestors outside Lincoln Center. Last year, they were against Valery Gergiev, this year they decried the company's planned October production of the John Adams opera The Death of Klinghoffer. Christian Tetzlaff opens the 92nd St. Y season with Bach. 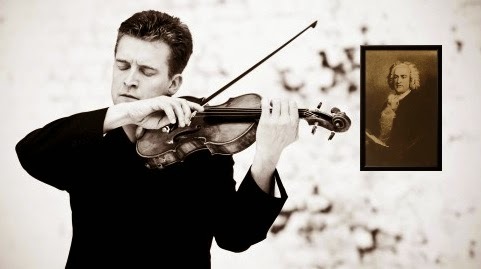 Christian Tetzlaff and friend. Photo by Giorgio Bertazzi from the artist's website. Bach image added by the author. A performance of all six solo violin works by Johann Sebastian Bach (the three Sonatas and three Partitas) are the musician's equivalent of a climb up K2 without oxygen or rope. On Tuesday night, German violinist Christian Tetzlaff took on this feat (for the second time in five years) at the Kaufmann Concert Hall, a staid but intimate auditorium that is ideal in acoustic and scale for this kind of performance. This performance also served as season opener for the prestigious Upper East Side venue, a fact celebrated with the distribution of free champagne to the audience at intermission. High notes and high tragedy in the Highlands. 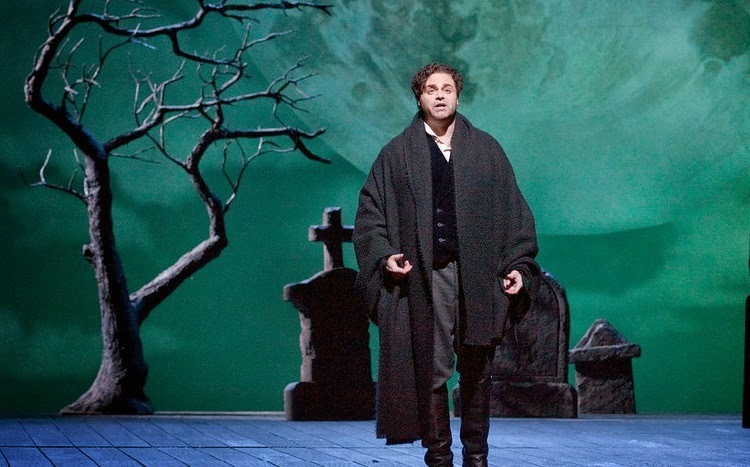 Joseph Calleja is Edgardo in the Met's revival of Lucia di Lammermoor. The bride of Lammermoor returns to the Met stage, in Mary Zimmerman's entertaining yet controversial production. Or...why Superconductor will probably not be covering the Met anymore. performances in the coming season all but impossible. 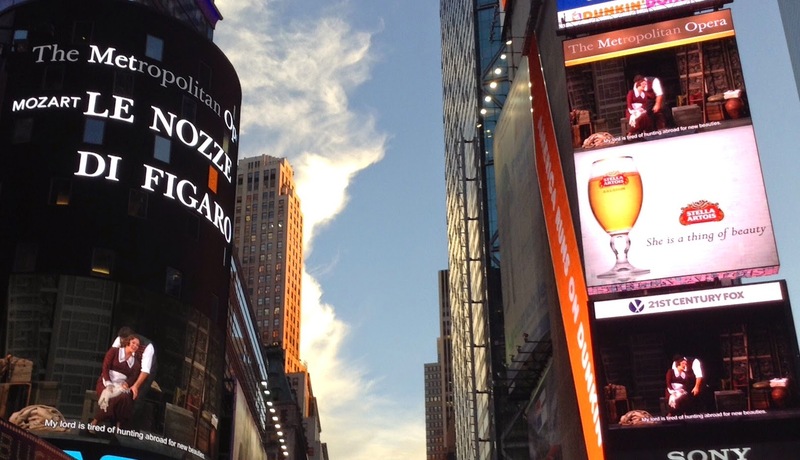 be covering or reviewing most Metropolitan Opera performances in the 2014-15 season. Steve Reich and Philip Glass open BAM NextWave--together. 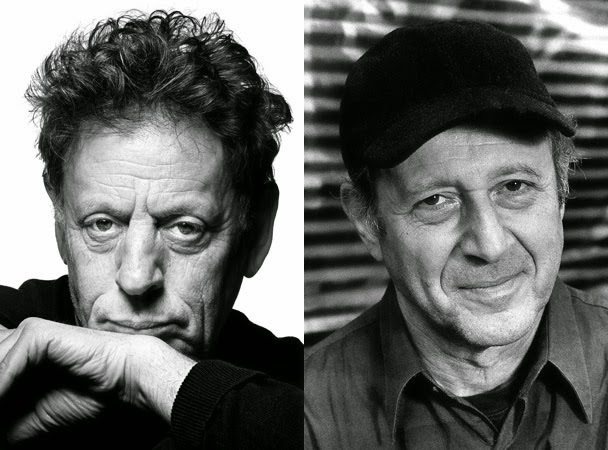 Across the great divide: the composers Philip Glass (left) and Steve Reich. In the late 1960s and early 1970s, Philip Glass and Steve Reich were friends and sometimes collaborators. A rift between the two men resulted in each becoming a separate driving force behind minimalism, a compositional style that favored small melodic cells, expanded, repeated and grown into huge crystalline structures that beguiled the ear and soothed the mind. Both men are now 77, and have ended their forty-year feud. On Tuesday night at the Brooklyn Academy of Music, the composers took the stage together for the first time in decades. The Metropolitan Opera revives a nightmare before Christmas. revival of Hansel and Gretel. Photo by Marty Sohl © 2011 The Metropolitan Opera. When I was growing up, the Met's production of Hansel and Gretel (by Otto Schenk) was something to see, with a gorgeous gingerbread house, imaginative animal costumes, and a dream ballet featuring realistic-looking angels that brought tears to the eyes of the most jaded adult. For decades, Engelbert Humperdinck's fairy-tale opera stood as a stalwart family favorite at the Metropolitan Opera House, as traditional as the massive tree that adorns the Grand Tier promenade in December. The little red dress returns. A boy, a girl and a timepiece. Marina Poplavskaya (right) in La Traviata. 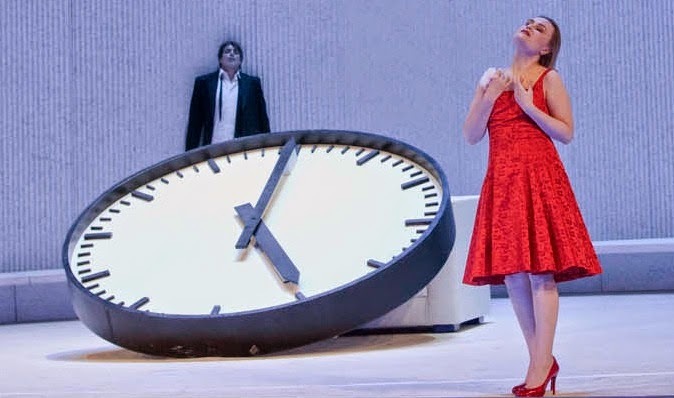 eliminates the elegance of 19th century Paris for a bare, clinical room, a single curved bench and a giant clock that ticks down the remaining minutes in the life of Violetta, the courtesan who is at the heart of Verdi's most intimate tragedy. Labels: classical music, italian opera, la traviata, marina poplavskaya, Marina Rebeka, Metropolitan Opera, Paul Pelkonen, Superconductor, Verdi, willy decker.